Hi everyone! Amy Prior here today with a fabulous new challenge for you all and of course the chance to win some fabulous A2Z Scraplets Chipboard!!!! To enter, simply create a new layout for the challenge as outlined below, blog or share your entry on an online gallery somewhere and then link back using the linky tool in the side toolbar. Not sure what a Blind Scrap is? Well it’s a fun and interesting challenge that can go so many different ways. The idea of the challenge is to follow my instructions below in your own interpretation using the products outlined below and the funnest bit is that the Design Team is not going to share any examples with you until the end of the month! Yep that’s right! On the 30th September I will be back to share the inspiration from our Design Team with how they interpreted the instructions and the biggest rule is to have fun! I have never known any 2 layouts to turn out the same which is very interesting and I am so excited to see what you all come up with. Ok so the products you will need to complete this layout includes…. - Coordinating Sprays, Mists, Watercolour Paints and/or Gesso, Modelling Paste etc. 1. Using your mask/template/stencilet and Spray/Mist/Paint/Gesso, add the pattern randomly to your plain cardstock piece focusing largely on the centre and top right corner and bottom left corner. 2. Fill a spray lid or some other small thimble sized cup with some of your spray/mist/paint. If you used a thicker paint, mix a tiny bit with some water to create a watery liquid and fill the lid. Standing about 30cm above your layout, slowly tilt your lid/cup slightly to allow drips and splatters to create near your mask work. 3. While the background is drying, cut your patterned paper into the following sizes and distress all edges. You can distress your edges either using a distressing tool, nail file or using your scissors (see video tutorial below), inking or painting. Sizes to cut your paper are 1st piece -20cm x 10cm, 2nd piece - 20cm x 10cm, 3rd piece – 8cm x 20cm, 4th piece – 15cm x 10cm & 5th piece – 5cm x 20cm (cut a triangle from the bottom of this piece to look like a banner before distressing). I have listed measurements showing the width x height if you have patterned paper that requires patterns to be used in one direction. 4. Layer your patterned paper in the centre of your layout on top of each other randomly using the largest piece at the bottom and the smallest on top. Play with the layers before you stick them down so you are 100% happy with their placement. I like to place everything down, then take a photo with my mobile phone so I can easily remove everything and start to adhere the papers how you liked. 5. Using your twine/floss, create a triple layered circle in the centre of your page. I find it easier to get perfect circles by using an old 2 litre soft drink bottle to wrap the twine around softly 3 times then sliding off carefully keeping the circle shape. You could also draw a perfect circle as a guideline to cover with the twine etc. 6. Add some random stitching to the edges of some of your patterned paper. Zig Zags are a fun look when randomly used. 7. Distress the edges of your photo/photos using the same method that you used for your papers and then adhere using some 3D Foam tape or other 3D Adhesive in the centre of your patterned paper layers and circle. 8. Paint your Chipboard title using the same Paint/Spray/Gesso that you used to stencil your background and then adhere it to the bottom left corner of your photo once dry. If you haven’t got a chipboard title, you can add a title using Alphabet stickers on the bottom left of the photo. You want the title to slightly overlap the photo (by no more than 1cm). 9. Using your scraps of Patterned Paper, create 3 different sized handmade flowers and add them in front of your title in a mini cluster. If you would prefer to not use flowers, add some buttons or flair here instead. 10. Your layout is complete! I hope you have had fun following these simple instructions. If you have any enquiries please email amy_prior AT live DOT com with your questions. 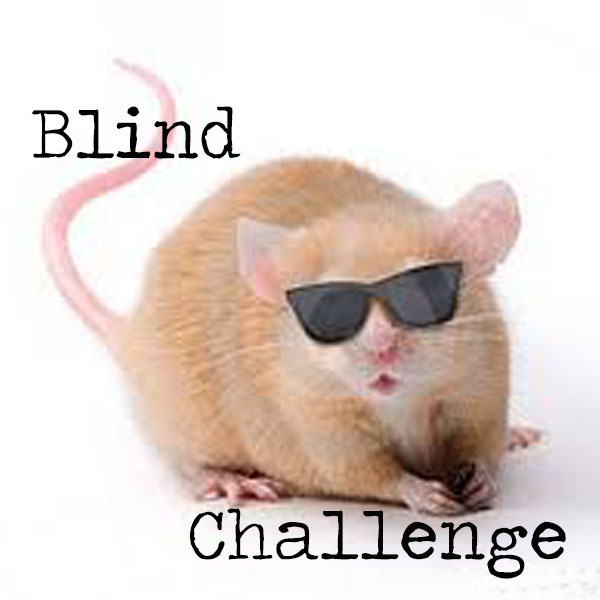 I am so excited to see how everyone interprets this challenge. Good luck everyone and don’t forget to link up and share the news. The more entries we get, the more prizes will be given away yippee!!!!!! 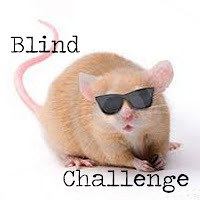 As this is a blind challenge, there will be nowhere to link it up to this month. and I will share all entries on the last day of the month !! Printed it off ready to do. I can't wait to give this a go, sounds amazing. Do we have a link up for September challenge? Looking forward to seeing everyone's creations. I too am going to give this a go !! Looks & Sounds so fun, Amy!! I'm lookign forward to joining in on this challenge too! wow this sounds like so much fun!!!!!! !